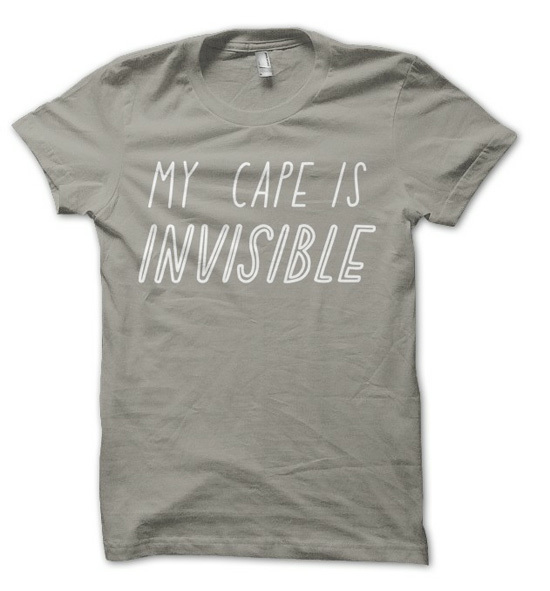 I like to think everyone has a little super-hero inside of them somewhere, so I fell hard for this shirt from UK-based The Joy of Ex Foundation. I'm also a fan of the pillow cushion cover with: I can't go out today-there is a sofa stuck to me and the kid sized tee (spotted earlier this week on A Cup of Jo) with: My cape is in the wash. This shirt is fantastic and it cracks me up. I'll have to check out the other brilliant ones, like the pillow. Such Friday Fun! Happy Weekend! This is fabulous! I so need to hunt one down and wear it on Mother's Day. And every other day of the year.